The best time to start your children on a pediatric dentistry program is when their teeth first appear. This may seem a bit early, however it is a great time to become acquainted with pediatric dentistry options, learn training techniques for teaching your children, and assessing the health of your child’s teeth before problems begin. 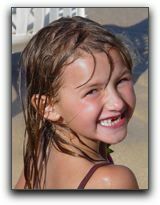 We can also help you identify pediatric dentistry programs and services in the Arlington area, for you child. If you have questions about pediatric dentistry, please give us a call at Dr. Stephen Ratcliff – Family & Cosmetic Dentistry. My name is Dr. Stephen Ratcliff, and my leading edge treatment in a warm and friendly atmosphere staff will be more than happy to talk with you about pediatric dentistry. Bring your questions to our leading edge treatment in a warm and friendly atmosphere staff at Dr. Stephen Ratcliff – Family & Cosmetic Dentistry. We are located at 909 W Mitchell St, in Arlington, Texas. We are looking forward to seeing you, and to discussing pediatric dentistry with you and your children.